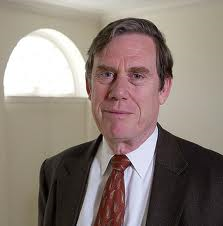 Today, we will be visited by Peter Bol, Harvard’s Vice Provost for Advances in Learning and one of the professors behind a new HarvardX courses on the history of China. ChinaX is one of the most ambitious MOOCs to date, one that experiments with – among other things – how a course can be defined in terms of time now that technology has freed professors from the tyranny of the semester. There is still time (over a year, in fact) to sign up for the course so enjoy today’s show and hope to see you in class. I am taking ChinaX because I happen to be headed to China and want to know about the history of this amazing country. Can you imagine how pleased I was to discover Harvard’s ChinaX which is being taught by Dr Peter Bol at Harvard. It is easy to use—has terrific content and so convenient. Now I know a little about the QIN and HAN dynasties and more…which is truly enriching…..Thanks Jonathan for interviewing Dr Bol.